Is Twitter really worth $3 billion? Twitter is currently looking to raise over $100 million investment funds, suggesting that the company is valued at around $3 billion (£1.89 billion). The latest Twitter news comes courtesy of reports on TechCrunch, which claim that Russian tech investor DST Global is looking to lead the next funding round into the microblogging phenomenon. 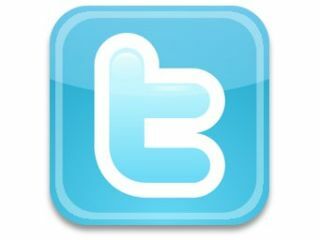 Twitter currently has around 175 million users and has only recently introduced a limited ad-revenue based model to generate some cash. Back in 2009, Twitter raised $100 million from investors including Insight Venture Partners, Spark Capital and T. Rowe Price. At that time, the company was valued at $1 billion. Which means, if the latest reports are true, that the company has tripled in value in less than a year. DST Chairman Yuri Milner said during an on-stage interview at the Web 2.0 conference in San Francisco this week that DST invests in companies that typically have a $1 billion-dollar plus valuation, that are in the "social Internet space," and can be located anywhere. "My guess is there are probably 25 to 30 companies like that," said the tech investment guru. Meanwhile, Twitter co-founder Evan Williams said his company was not running low on capital, claiming that Twitter has "a lot of money in the bank." Williams added that Twitter was in talks with Facebook, looking at new ways in which the two companies can work together. "We're talking to them often to see if there is a way to work together, but so far neither side has found out a way to do that," Williams told the Web 2.0 crowd.